René Raffray wants to give ''a strong voice'' to the Domestic Agencies. 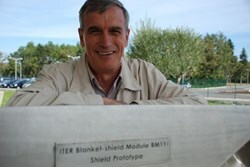 René Raffray, Leader of the ITER Blanket Section, has been appointed as the new Leader of the Blanket Integrated Product Team (BIPT). He is taking over from Doug Loesser who is stepping down after having successfully led the BIPT since its implementation in early 2009. The BIPT includes participation from six of the seven ITER Domestic Agencies—China, the European Union, Japan, the Russian Federation, South Korea, and the US. The seventh ITER Domestic Agency, India, is not involved in the blanket procurement. 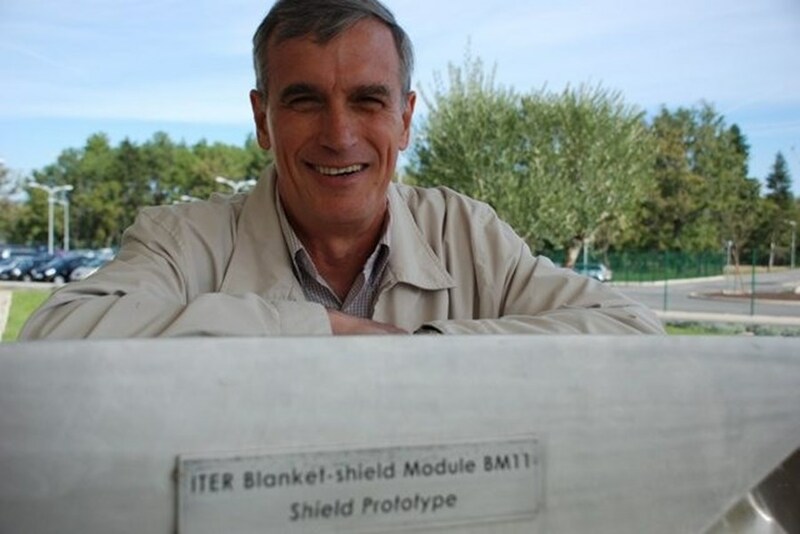 René Raffray will be leading the BIPT effort toward its next major milestone: taking the design of ITER's blanket system from the conceptual design review performed last February to the preliminary design review planned for the second half of 2011. The blanket system comprises three major components: the first wall, which faces the plasma and must accommodate the demanding heat and particle fluxes; the shield block at the back, providing neutron shielding for the vacuum vessel and coil system; and the blanket module connections, including the attachment system of the shield block to the vacuum vessel that must support the blanket under the high electromagnetic loads anticipated for various plasma scenarios. Each of these components is to be procured by different Domestic Agencies (first wall: Europe, Russia and China; shield block: China and Korea; blanket module connections: Russia). The activities within the BIPT have been planned to give a key role to the procuring Domestic Agencies in the design and analysis of these components. "This can create challenging conditions for the coordination of a team with participants in many different geographical locations, but, in the end, will greatly help to smoothen the procurement process itself as it is intended for the procuring Domestic Agencies to feel a sense of ownership of the design," says Raffray.